As summer draws to a close, the air turns crisp, and the leaves begin to change to the warm colors of autumn-so too, do our thoughts begin to turn to changes in our look. Our styles tend to be light and breezy for the warmer months, however the cooler months lend themselves to more elegance and precision for some of us-when it comes to our appearance. Here we have compiled some ideas for you to consider as you ponder your new fall style. For a feminine, soft easy going style consider this cute one seen here on Ashley Simpson Wentz. It is a very basic cut, and easy to style-just towel dry, comb into place allowing to air dry then simply run your fingers through it. Vanessa Hudgens’ wears a classically short style with fullness left in the front and crown that can either be left straight or done in tousled curls as seen in photo. Jenna Elfman opted for a face framing choppy hairstyle, in which layers are directed toward the face- playing up pretty eyes. This is a modern, edgy twist on the classic “pixie”. While the cut remains very short, there are longer than usual layers left in front and in the crown area. This leaves room for adding curls, waves and/or texture-which makes for added interest. This style has a “stacked” look, as well as a small “weight-line”-both of which were very popular in years past. This side-parted style gives them a modern, trendy edge. Lisa Rinna’s trendy, razor cut layers, make for a flirty short cut. This many-layered cut allows for lots of texture and definition in your style. This layered bob brings Marilyn Monroe to mind with its large romantic curls. 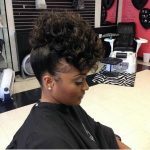 This is a very versatile hairstyle, which lends itself to many variations. 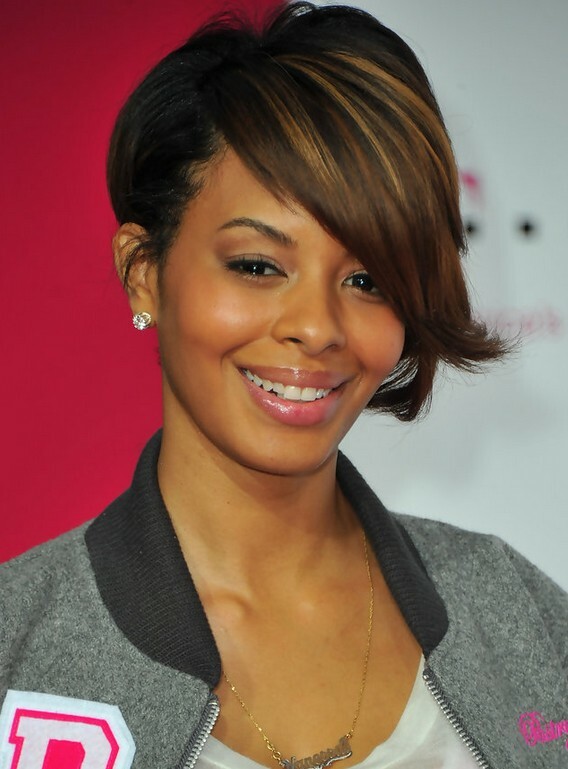 If you desire an extremely easy to care for short “do”, consider this chin length bob with bangs. Worn straight, your style will be very chic and up to date! An inverted bob, such as the one pictured-is easy to care for and sets off highlights beautifully! While it is not hard to style, it is very trendy and gives the wearer class. As you can see, there are a great many styles to choose from this fall! Remember to consider your facial shape and lifestyle when choosing your new look. Look into color as well, it really changes your look, and makes for a refreshing change for fall. Hair jewelry is very much in for fall and winter and into the New Year, so have a great time with it! 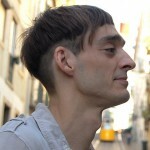 Under: Haircuts for Men Trendy Haircuts for Men: Super-Cool Men’s Basin Cut with Trendy Twist!